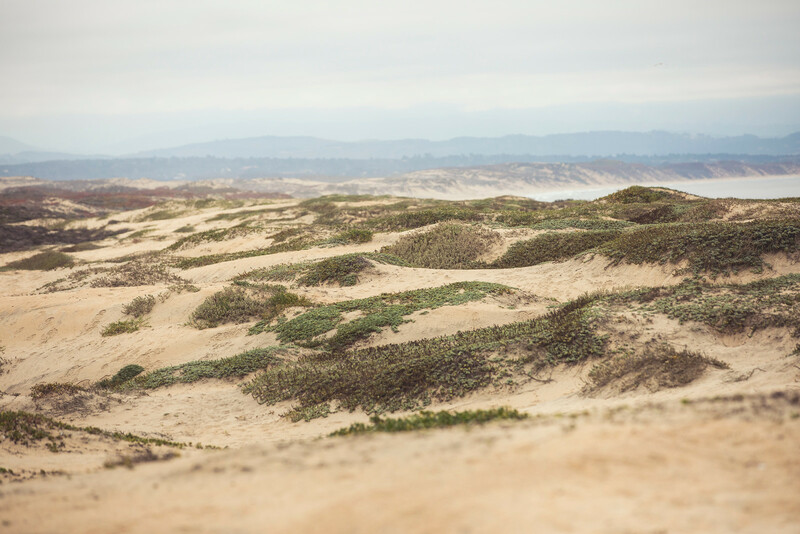 Since 2000, BSLT has protected 125 acres at Martin Dunes adjacent to the USFWS Salinas River National Wildlife Refuge on the Monterey Bay coastline. The sandy dunes closest to the beach serve as ideal habitats for snowy plovers and are protected from human disturbance, dogs, horses, hunting, etc. Over the past 10 years, BSLT has implemented long-term stewardship strategies at Martin Dunes to restore the natural dune habitat. Since 2009, the removal of invasive plants has been a priority. As a result, the infestation of ice plant (Carpobrotus edulis), European beachgrass (Ammophila arenaria), and ripgut brome (Bromus diandrus) has been significantly reduced, which has allowed native flora and fauna to thrive. Removing these non-native plants directly benefits the snowy plovers nesting on the dunes, as well as several other threatened and endangered species unique to the Monterey Bay Area.